Equinox Financial Partners helps clients accumulate and preserve wealth for themselves, their children and their grandchildren. This is done through tax advantaged planning and an up-to-date knowledge of financial products. With over 200 years of combined experience, EFP was established for the purpose of helping businesses and individuals who have unique situations requiring focused personal attention on an ongoing basis. The members of Equinox Financial Partners take a hands-on approach, working together with clients to prepare a plan that considers their own special needs, goals, time frame and risk tolerance. The combined experience of the partners and their knowledge of a wide-range of products and services allow them the ability to provide top-quality financial strategies to help clients enhance, protect and preserve wealth. Our focus is working with high net worth individuals and professionals, mid to large closely held companies, thoroughbred owners & breeders, Veterinarians, Dentists, athletes & entertainers and family businesses. 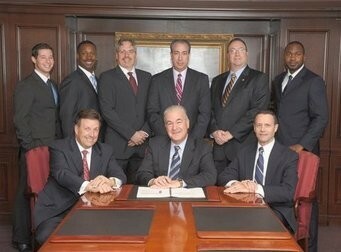 Equinox Financial Partners is happy to work as part of a coordinated team of professionals (Attorney, CPA, etc.) to help clients address their financial needs.